MST3K VOL. XXIII: Quinn Martin, Joey The Lemur, Jess Franco And The Adventures Of “Johnny Pooper” – Schlockmania! The end of March has brought 2012’s first installment of Mystery Science Theater 3000 in box set form. 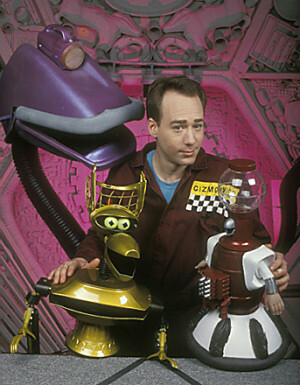 Those who love the show in both its Joel and Mike eras will be happy to note that MST3K Vol. XXIII is another box that divides its time evenly between the two, offering two episodes from each era for the fans. The results show how the group deals with a variety of challenging cinematic detritus, ranging from good-bad to bad-bad. 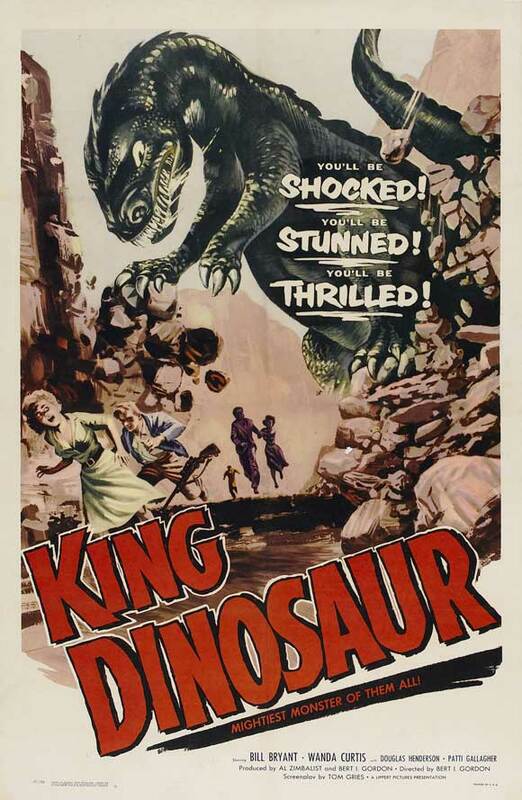 King Dinosaur is the first of two Joel-era episodes on this set and it features the crew battling a particularly insipid 1950’s sci-fi production from Robert Lippert. It’s the kind of sci-fi that asks you to accept a park as another planet’s landscape and footage of lizards as “dinosaurs.” It doesn’t give the players the kind of material a quirkier bad film would offer so the results are middling but they riff away merrily, poking fun at Lippert and the film’s excessive padding. There’s also a fun extended gag involving the song “The Teddy Bear’s Picnic.” That said, the twisted achievement here is how they get a shocking amount of mileage out of a small animal who serves as the team’s mascot, leading to a funny host segment where an awful kiddie song called “Joey The Lemur” goes wrong. Remember that bit because it will be revisited later in this set. 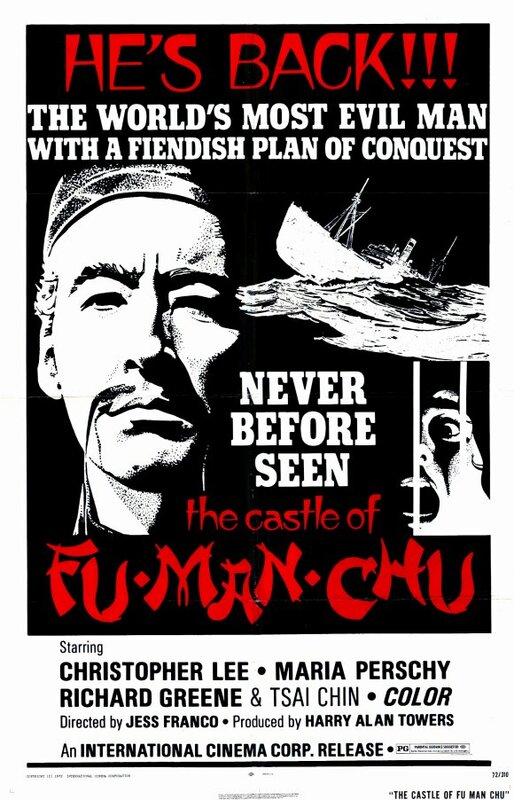 The other Joel-era episode is The Castle Of Fu Manchu, which is built around one of Harry Alan Towers’ cheap-o potboilers with Christopher Lee acting as the titular villain. Jess Franco does the directing honors and the results are cheap and oft-incoherent. The crew has a tough time at first getting a hold on it, something they acknowledge in host segments where they try to perform skits but end up breaking down in tears because they feel so demoralized. However, plenty of fun recurring gags develop as the film crawls along: Tom Servo announcing different midwestern cities over the many establishing shots of different landscapes, a string of references to how one character resembles Burt Young, fez-hatted villains inspiring a series of Shriner gags and riffs built around the fact that Fu Manchu’s daughter resembles both Suzie Wong and Marlo Thomas in That Girl. Viewers should also listen out for inspired one-off jokes that reference Blue Velvet, The Hunger and Where’s Waldo. 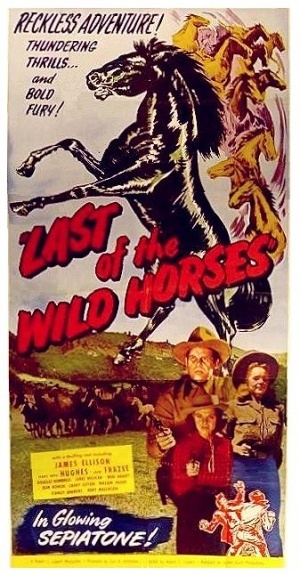 Last Of The Wild Horses is the first of two Mike-era episodes in this set. It’s probably the least of the episodes in the set, not because of the crew’s input but because the film, a western with a dialogue-driven horse rustling plot, is as dull as it is bad. Thus, there isn’t much for the crew to riff on but they deliver some inspired quips during the final half, including a funny recurring gag about El Cid and a bit where they mishear a name as “Johnny Pooper” and do a sophomoric but very funny barrage of riffs on that name. Better yet, there is a really inspired framing device for this episode where Tom Servo and Gypsy are accidentally transported into an alternate universe and try to get out: in said alternate universe, Mike and Crow are evil and Dr. Forrester and Frank do the movie-watching and between clip gags, including singing “Joey The Lemur” from the King Dinosaur episode(!). 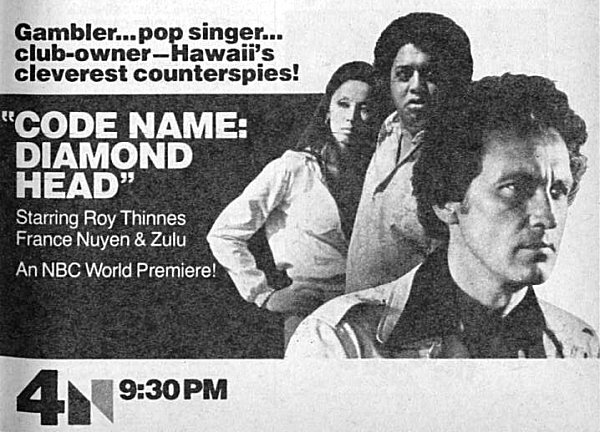 Code Name: Diamond Head is the other Mike-era episode in this set and it’s an inspired performance all around. It starts off with an educational short, “A Day At The Fair,” and its wholesome-as-apple-pie portrait of rural Americana allows Mike and the bots to unleash an array of twisted gags (a shot of a family sedan prompts the shout “Hitler’s death car!”). The main attraction is one of Quinn Martin’s less-inspired productions, a sort of spy-show version of Hawaii Five-O with Roy Thinnes and Ian MacShane. The Satellite crew takes delight in poking fun at the show’s lack of action, the incomprehensible spy jargon, the over-emphatic musical score and the fact that MacShane had been in Lovejoy. A fun recurring gag in the between-film segments has Tom and Crow being shown what it would be like if they didn’t live with someone as nice as Mike (the best shows them living with the marble-mouthed singer from Crash Test Dummies). The riffs fly fast and furious in this episode, making it a keeper. In short, MST3k Vol. XXIII shows the Satellite Of Love crew working with a diverse array of cinematic/televised rejects and responding in a consistent satirical matter. Each episode has at least a few killer riffs and some of them work up an impressive head of steam. In any event, the MST3K fan base will be happy with what is on offer here.